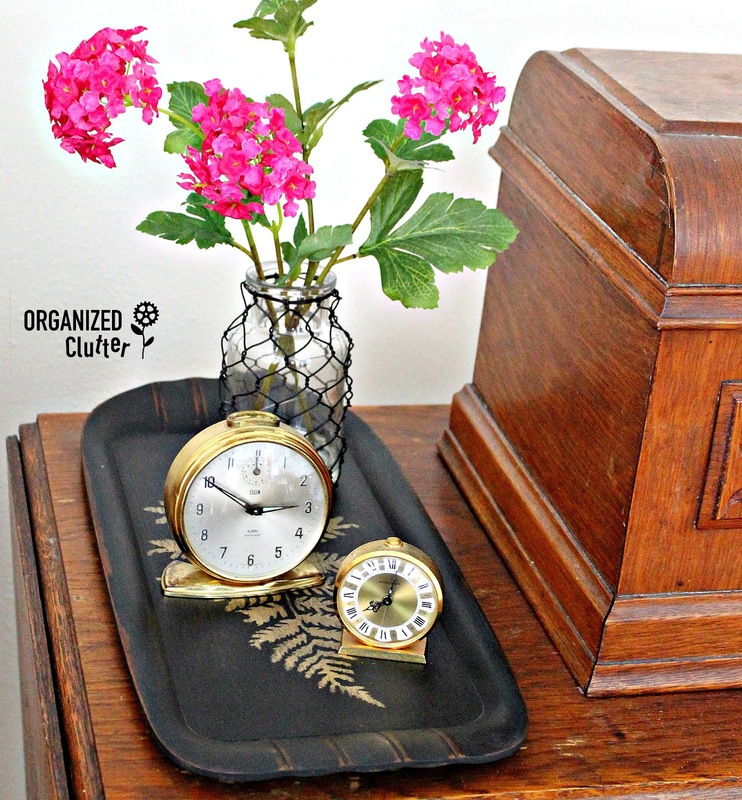 About a week ago I purchased these two Toastmaster vintage lap trays at a local thrift shop. I paid 59 cents a piece. 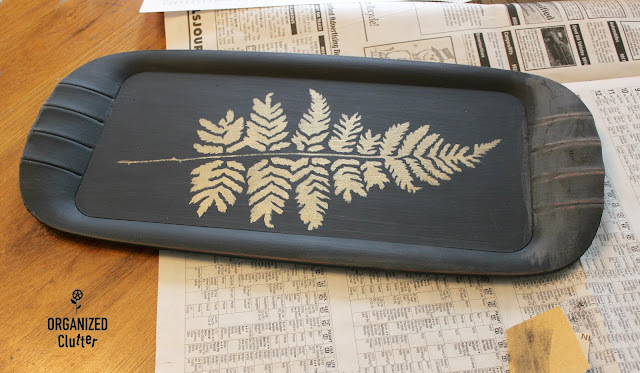 The first tray was painted with Dixie Belle Chalk Finish Paint in CAVIAR , and stenciled with a fern stencil and a gold metallic paint. Now to the upcycle of tray 2. Since I decided to paint tray number two with Dixie Belle Chalk Finish Paint in Drop Cloth , I brushed on a couple of coats of Dixie Belle Paint Company Boss in Clear . BOSS will prevent any wood stain or wood tanins bleeding through my off white paint. This is my tray with two coats of Boss and two coats of Drop Cloth. I used my Zibra Paint Brush with Stubby Handle to apply the Drop Cloth. I love Zibra brushes. I have 3 now. The paint goes on so smoothly with very few brush strokes. I decided to add buffalo checks to this tray, and give it a more casual, farmhouse vibe. 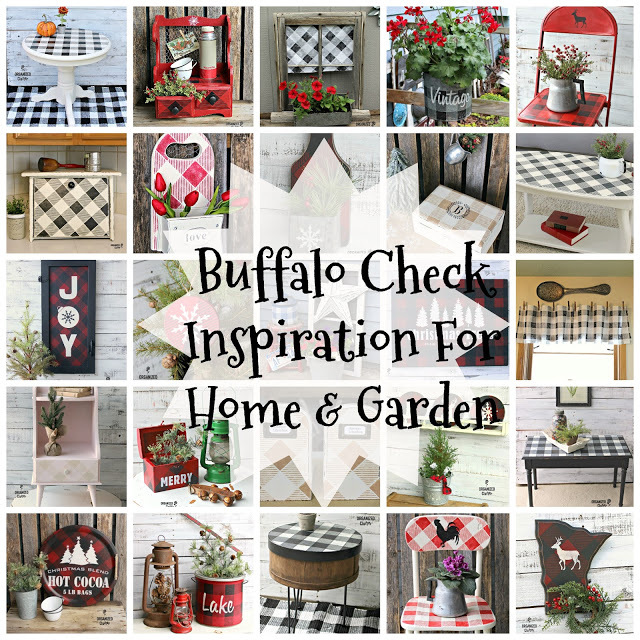 I use my *Old Sign Stencils Buffalo Check Stencil all the time. You can get one too by clicking the link. I taped my stencil on the tray on the diagonal. I used Dixie Belle Paint in Caviar for the checks. The center of the tray stenciled quite easily, but when I got to the curves, I HAD TO HOLD the stencil down with any available fingers. It's not impossible to stencil on a curve, but a little tricky. I sanded the stenciled area very lightly using 220 grit sandpaper, and then applied Dixie Belle Paint Best Dang Wax in Clear . I used an Intex Pfc Precision-fiber Paint & Cleaning Rag to apply a fine coat of my wax. I used another fiber rag to wipe down the tray after waxing. 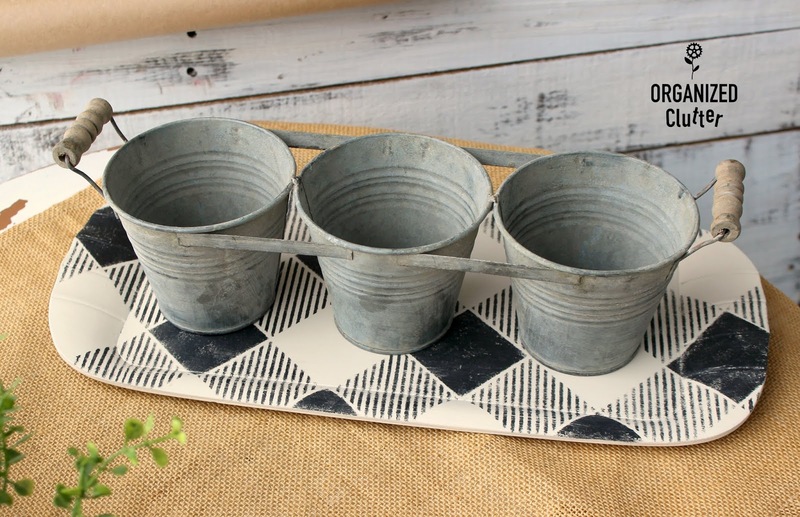 I purchased these cute galvanized pots at Hobby Lobby. Regular price was $9.99. They were 40% off in the Spring Shop area. Not sure if they are available online. I found them at the Bemidji, Minnesota, Hobby Lobby store. They fit this tray perfectly. I have several of these little rustic faux plants from Sullivans. I purchased them at a local drug store. They are my "go to" pots to stage and decorate! 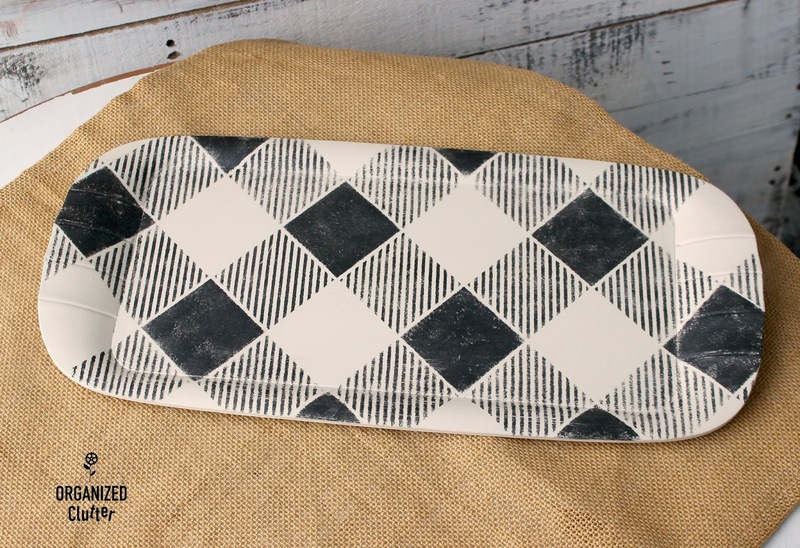 I have to say I prefer the buffalo checked tray to the black one. 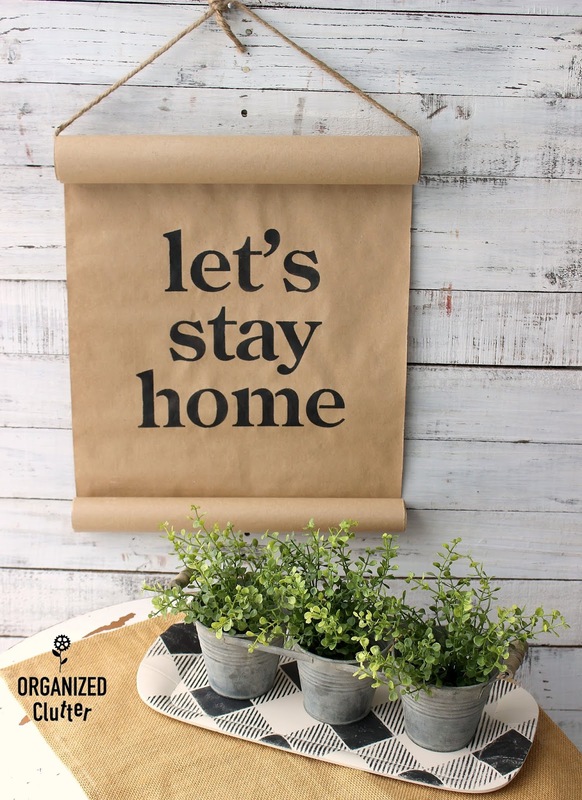 Trays, crates, baskets and risers add so much interest to vignettes, and also help corral small items too. 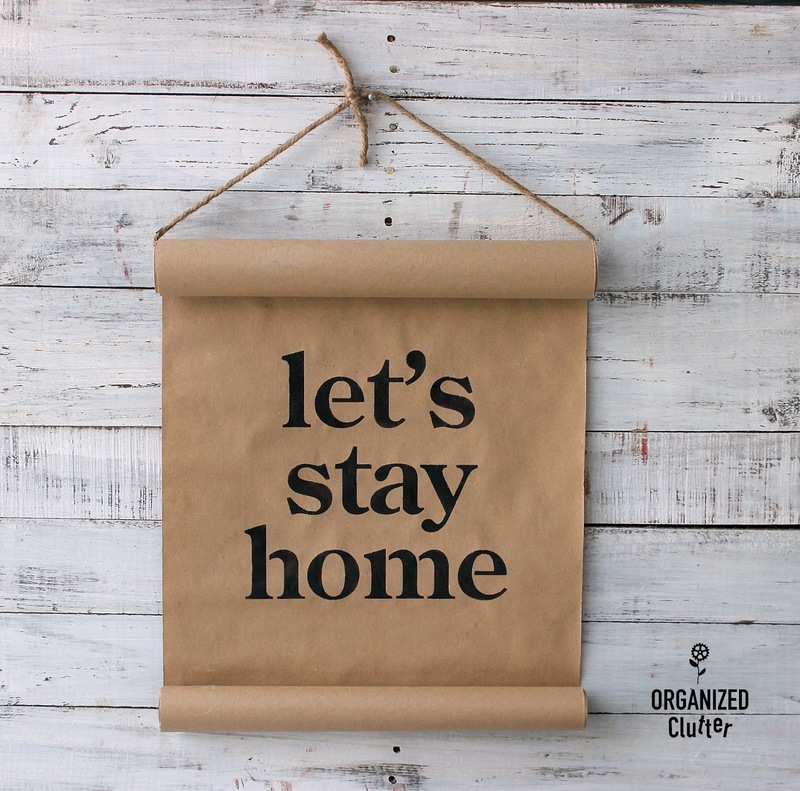 The original size stencil is 10" x 14" with 2" checks. 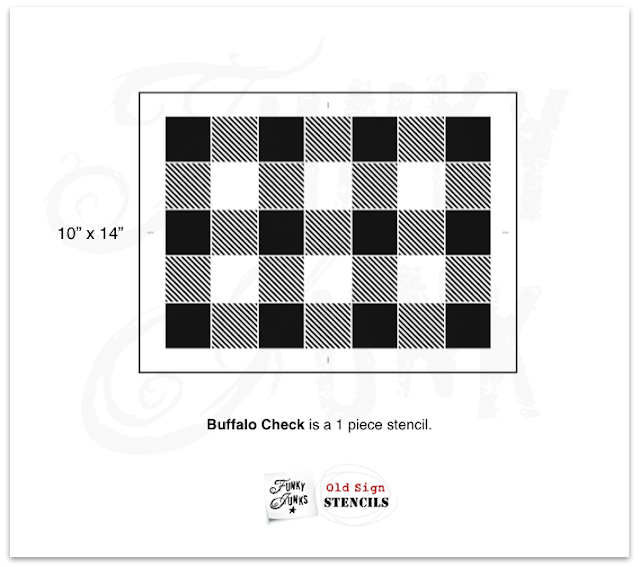 The big buffalo check stencil is 15" x 21" with 3" checks. 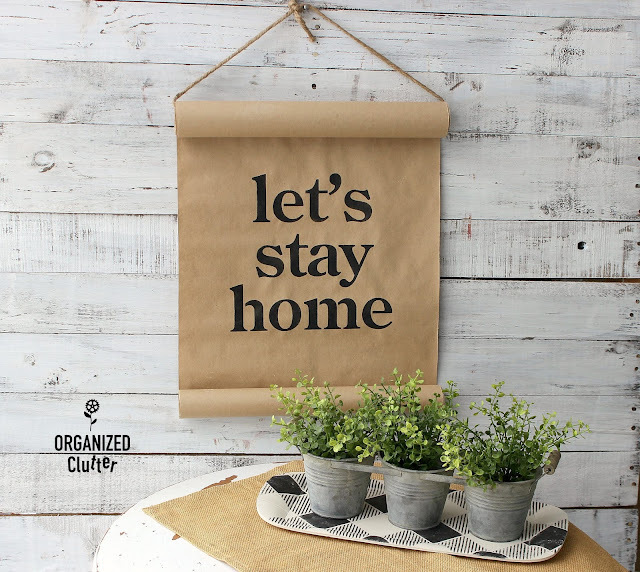 The larger stencil is perfect for larger projects.